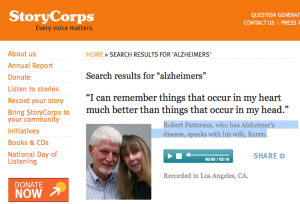 Since 2006, StoryCorps’ Memory Loss Initiative has supported and encouraged people with various forms of memory loss to share their stories with loved ones and future generations. 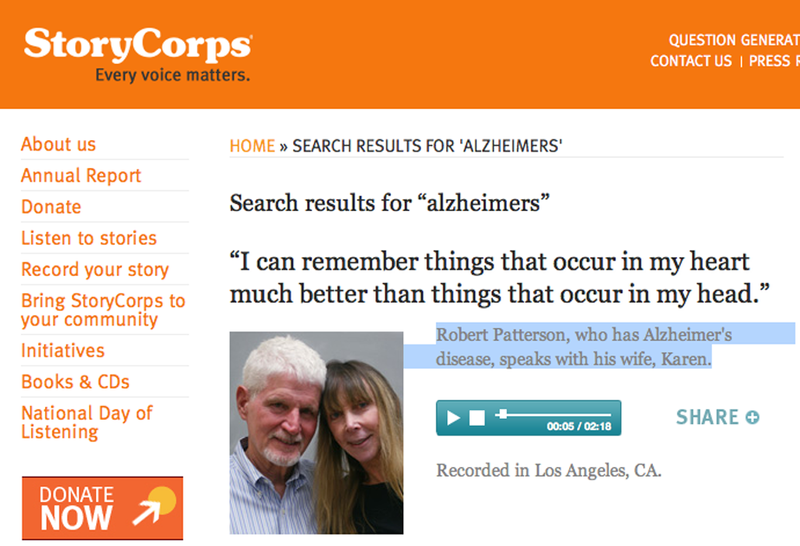 To date, the Memory Loss Initiative has collected more than 1,800 interviews with 180 partner organizations. Some of these stories are played each Friday on National Public Radio. The Memory Loss Initiative has created a unique toolkit called Commemorate, designed to help organizations record, share, and preserve the stories of clients living with memory loss.